Get affordable Security Camera Installation on Huntington Beach, CA and CCTV equipment with commercial quality and 2 years warranty. We have been working on Huntington Beach, CA since 2005. With Protection4less to acquire a security camera system or upgrade an existing system is a great and affordable option. Our technicians will explain in more detail what each CCTV component does and what are things that you have to consider. We’ll help you avoid common mistakes which result in poor performance security camera system. We will put together the best security camera system possible according to your budget and your needs. You can check our reviews on line. 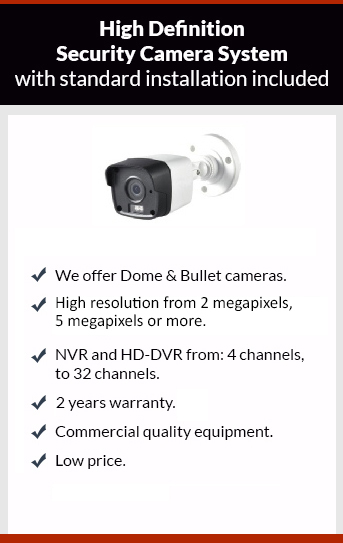 Give us a call to get now your security camera system, the estimate is free.